I just uploaded this review today. I had been working on it for a while but not really getting anywhere, so I just decided yesterday to get it finished and render it. There is an extended version as well as the normal version. The extended version just shows me going through all the menus, so I cut it out from the full version as it's not that interesting. You can still watch that long version though if you want, there is a link in the videos description on YouTube. If you have any feedback, suggestions or questions, feel free to leave a comment on the video, or on this post. Is the TYT MD-380 worth buying? 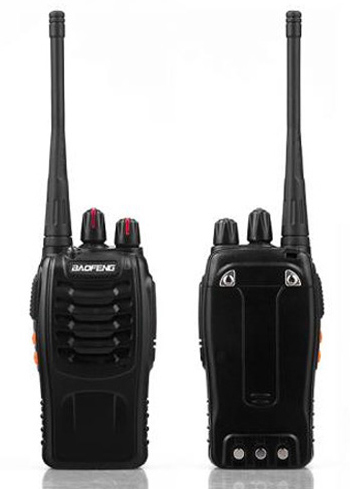 In the last few years, DMR has become a very popular digital voice mode on the UHF and VHF bands and this radio is the latest cheap DMR radio to come out of China. The question is, is it any good? The answer depends on your requirements and what you expect of the radio. If you just want a radio that works (mostly) and can put up with it sometimes glitching or crashing or just doing things wrong, in return for a cheap price and a nice screen, then this radio is for you. If you need a radio to work consistently and well, and be able to put up with outdoor weather, then this radio is not for you. That is the short and simple answer. The longer answer is slightly more complicated, and involves discussing the difference in price between this radio and other more expensive, but higher quality, radios. 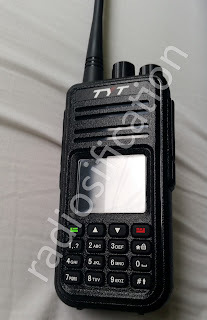 I was wondering why the text messaging on the TYT MD-380 didn't seem to work with other DMR radios that I have. I only tried it with my Motorola DP4800 which has the option of selecting between Motorola proprietary type messages and DMR standard type messages. I assumed the MD-380 would be using the DMR standard message type, but after some testing I found that it actually uses the Motorola proprietary type. This is strange because I doubt that the manufacturer would want to pay Motorola to use their proprietary text messaging standard when they could have just used the DMR standard one. 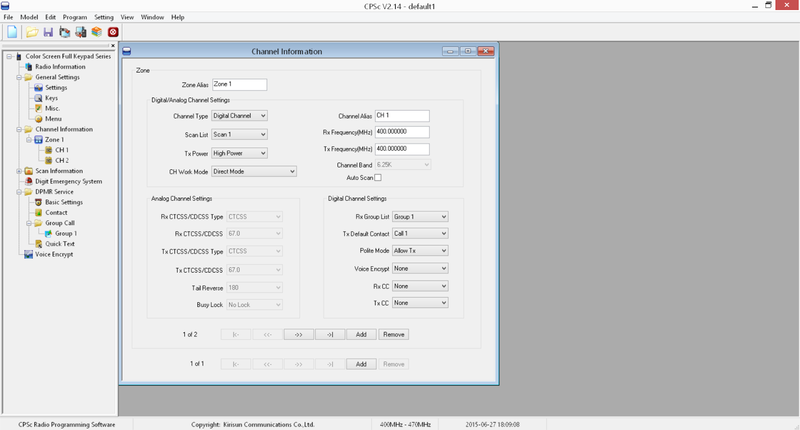 I also found that the compressed UDP data header has to be set to none for the Motorola radios and TYT MD-380 to work together. 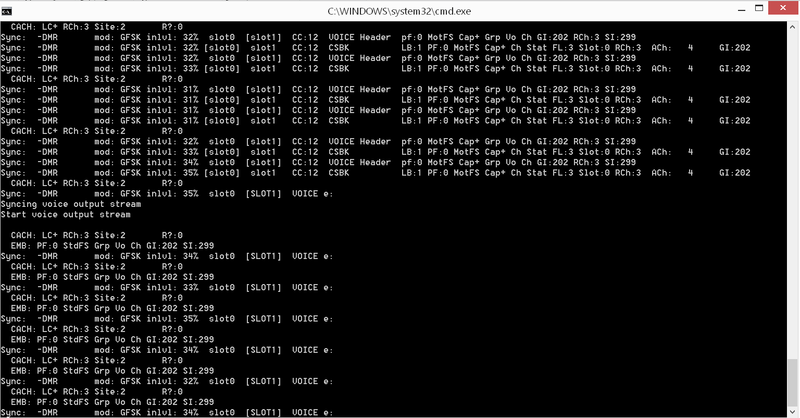 On the Motorola, there are two options again for the compressed UDP data header. They are the same as for text messaging: Motorola proprietary or DMR standard. I tried using both types of compressed UDP data header combined with both types of text message and neither would work with the TYT. To get the Motorola radio to send texts to the TYT successfully, you have to set compressed UDP data header to "None" and text message type to "Proprietary". On the TYT you have to just turn off compressed UDP data header. 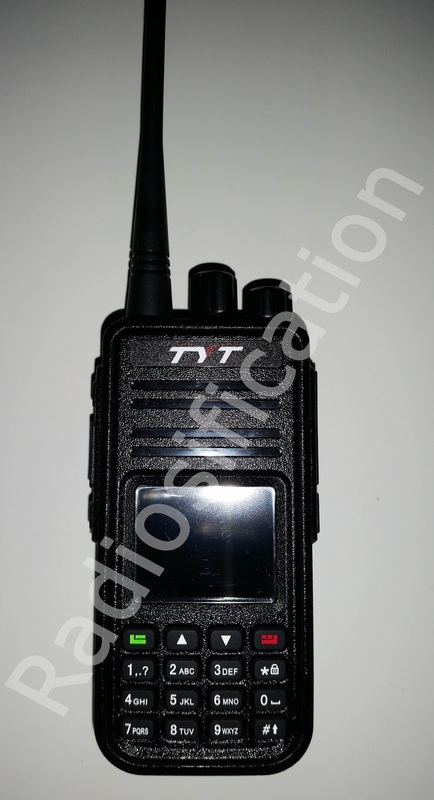 The TYT MD-380 is a relatively new, cheap DMR radio from China. As with most chinese radios, it has a few bugs. I have had the radio since 21/07/15 and this is all of the bugs I have found so far. It has a lot more bugs than any radio being sold to the public should have! I am used to chinese radios having bugs, but this amount is ridiculous. I wouldn't even call this radio ready for beta testing. If you're a shopwatch scheme manager or are involved in the procurement of a new radio system, you might want to read this before you buy anything from, or sign any contracts with shopwatchonline.co.uk. Shopwatch Online are selling SCHEMELINK digital and analogue radios which appear to be rebadged radios from low budget Chinese manufacturers. The digital SCHEMELINK radios they sell look to be the same radio as the Kirisun S780 but with a different logo. I have done a series of videos on this radio (Kirisun S780) and owned a pair for quite a while, so I know very well what they are like. I personally don't think they are at all suitable for use by a shopwatch scheme. They can be bought individually, including the radio, antenna, charger and battery for £71 including postage on eBay. The RF performance of this radio is sub par, and can easily be desensitized (which means that they will not receive radio traffic from other users) by strong signals nearby. These radios also had a problem whereby the radio's speaker would permanently stop working on some units, if the volume was turned up too high and a transmission received. I had to send one radio back because of this problem. The analogue SCHEMELINK radios they are selling, currently for £35 each, appear to be even worse. They look to be rebadged Baofeng BF-888S radios, which are, to put it simply, the cheapest radios you can possibly buy. It is possible to buy them individually for as little as £11 on eBay, which means Shopwatch Online are inflating the price by 318% if my calculations are correct. If you don't believe me, look on eBay for yourself. Not only are these radios cheap and poor quality, the chargers supplied with these analogue Baofeng BF-888S radios (or at least the last time I bought one*) are dangerous, because the wires are not double insulated. This means they can easily cause electric shocks. I don't know if Shopwatch Online are selling the radios with these chargers, but I really hope not. 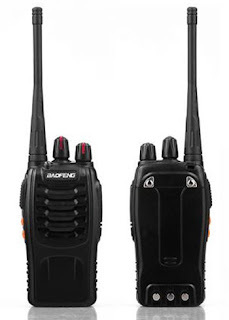 These radios are often bought by individuals who are looking for ultra-cheap recreational communications because they are cheaper than the license free PMR446 radios sold in high street shops like Argos. I have written this post to inform people about the dangers of these radios, and the fact that I believe that they are unsuitable for use in a shopwatch scheme. Compared to the radios used by other shopwatch schemes, the performance of the radios is poor, the radios are not rugged or waterproof, and the radio dealer is adding a huge markup in my opinion. * For the record, I sent it back, because it was so dangerous and poor quality. On 27/10/15, the following comment was posted in the comments section of this post by the user " tenfourgudbuddy" who claims to be a representative of stopwatchonline.co.uk. He said that the radios they are selling are not rebadged Baofeng BF-888S radios. I have crossed through the information in the post that may no longer be accurate with this updated information. See the comments below if you want to see my response. "Please correct all of the the misinformation in this post of remove it completely. Shopwatch online does not sell or use Kirisun handsets. The units that you refer to a Baofeng are nothing of the sort. They are Zastone V-180 handsets that are a completely different make, quality, size and product. All the handsets use transformers at the plug and DO NOT use single insulated wires. Steve - Shopwatch Online. Please contact me if you have any questions. contact@shopwatchonline.co.uk"
Since the original website to download this has been offline for some time, I decided to post it here for anyone who might be interested. Please link to this page if you want to link to the file. I occasionally change the links so if you link directly to the file download page the link will break. On here I will try to keep the link updated, and if the link ever breaks I will post a new one on request. Here is a link to download WinDSD. 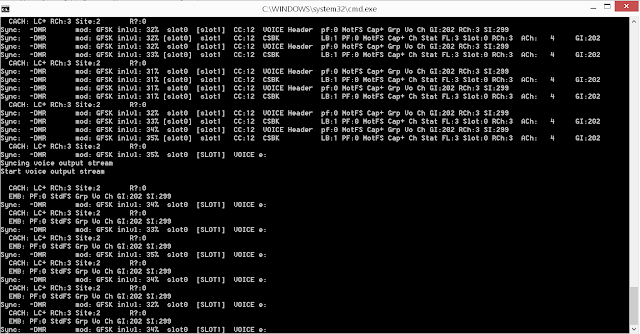 This is V2 of the program, also known as WinDSDv2. 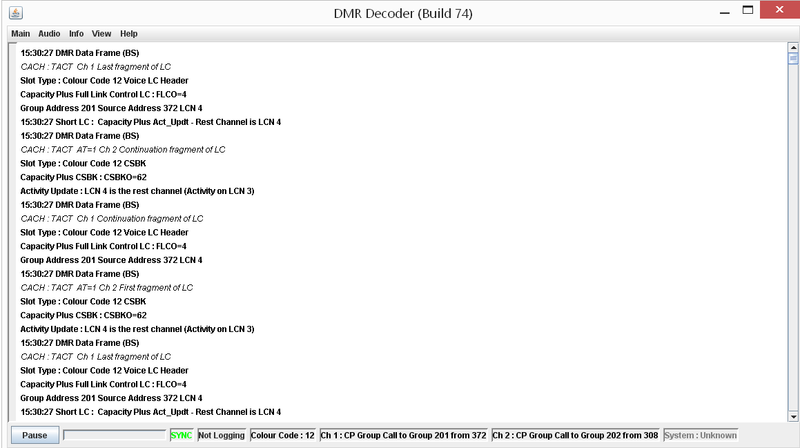 This piece of software is similar to the normal DSD, but shows a lot more information about the system you are listening to. Have a look at the picture below for an example.